How Can I Get My License? 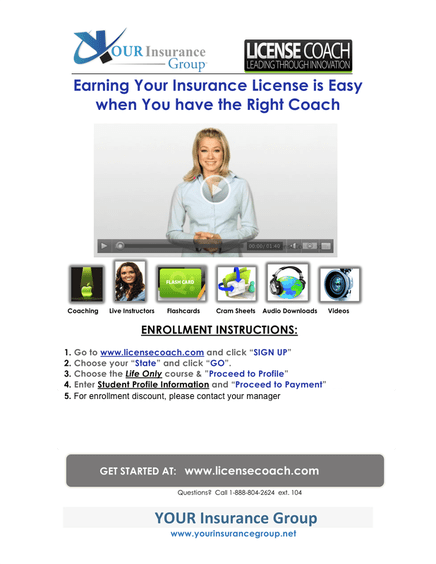 YOUR Insurance Group has a relationship with one of the industries best exam prep courses available. You will have access to the most current information to help you pass your state exam on the first try. The study course is available on line 24 hours a day. This will allow you to study at your convenience. YOUR Insurance Group will help you prepare for your new and exciting career every step of the way.